Roswell, New Mexico is a pop culture sensation with the hype surrounding an alleged alien encounter in 1947. Many conspiracy theories surround the controversial UFO encounter, making Roswell a tourist hot spot. My family had the opportunity to spend a day in Roswell on a recent cross-country trip from New Orleans to San Diego. Diving headfirst into the alien phenomenon was our only goal as we explored the quaint town. 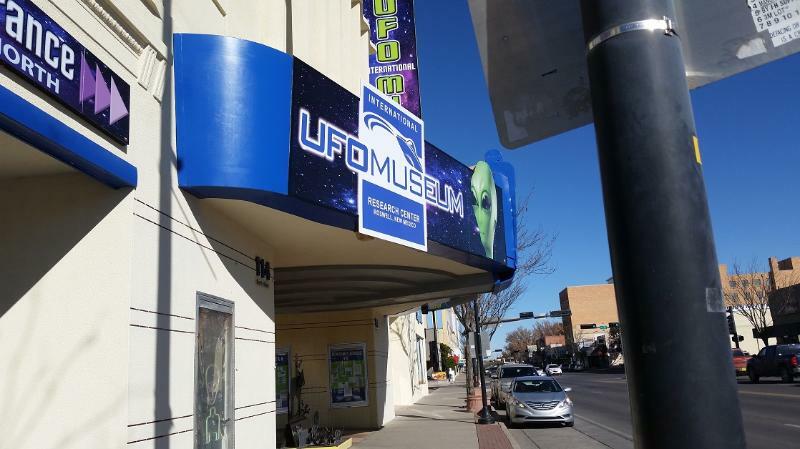 Check out these Roswell NM attractions! We’re a military family of five with kids ranging from 18 to 9 years old. Being military means we move a lot, and each time we pack up the car means it’s time for the next Virata clan escapade. The kids love sightseeing and exploring new towns as we road trip to our new home. This time was no different. The entire family gathered around the table to plan our road trip. My children are huge sci-fi fans, so I wasn’t surprised that Roswell, New Mexico was top of their list. TravelingMom Tip: Keep your eyes peeled! As soon as we drove into town, the kids started spotting extraterrestrial beings. Imagining themselves as Men in Black agents dressed in black suits with black sunglasses, the kids squealed “Look, aliens!” or “There’s one over there!” as we drove down Main Street. They spotted green little aliens outside of the hotels, at the gift shops and even at the Kentucky Fried Chicken. The famous International UFO Museum and Research Center was the perfect place to begin our journey. I am not a sci-fi fanatic, but found myself thoroughly enjoying the self-guided tour. The museum exhibits are set up in chronological order which makes it easy to follow. Seeing the newspaper clippings and reading the insider reports took us back to a time where not everything was so easily explained. Our youngest son wasn’t entertained with all the reading, but there were more than enough “artifacts” and images to keep him occupied. We were so focused on reading historical documents and studying exhibits we didn’t see what was waiting for us around the corner. About half way through the museum there was a UFO hovering just above ground with aliens exiting it. Luckily, none of us were interesting enough to be abducted, but they did make some sudden movements and kept their eyes on us the rest of the trip. 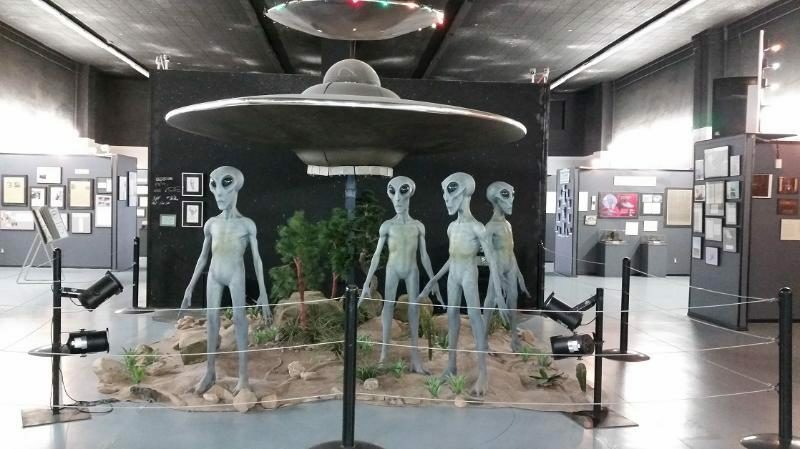 While some may find the museum lacking and a bit hokey, I found it to be a great little tourist attraction and definitely worth the minimal admission fee for anyone finding themselves in Roswell. The small admission fees are $5 for adults, $2 for children (ages 5-15) and children 4 and under are free. They also offer military and senior discounts. 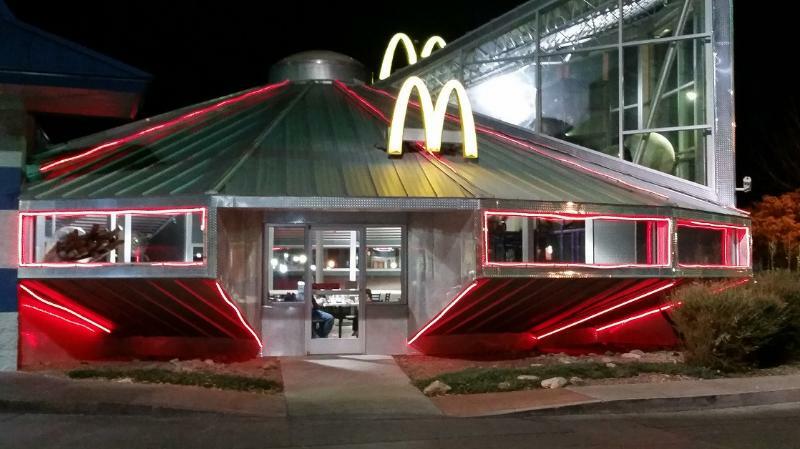 When I started researching our Roswell visit, there was only one place I had to visit – the Flying Saucer McDonald’s. While you won’t find intergalactic fries or extraterrestrial hamburgers on the menu, you will feel as if you are on your way to outer space once you step inside. Astronaut Ronald McDonald and his friends are exploring outer space and need the kids’ help searching for aliens in the inside play area. Our youngest son had a blast on the swirling slide and climbing structure. As the kids play, adults can take in all the little details that make this McDonald’s play area stand out from all others. I loved the creativity they used incorporating standard McDonald’s food items in the play area decorating. My favorite was the McFlurry rocket ship and the Coca-Cola cup space suit. Too mature to “play,” our teens took to seeing how many aliens they could find around the restaurant and outside. There are plenty of hotel options to choose from in Roswell. Most of the hotels are categorized as two and three stars and have good reviews. The prices are very reasonable compared to other tourist destinations. We stayed at the Comfort Suites located on North Main Street. It was a great location and the room was outstanding for the price. There were five of us traveling together, so we stayed in the suite with 2 queen beds and a sleeper sofa. We were not expecting much, especially when paying less than $80 for the night. After our day of alien hunting, we were pleasantly surprised by this updated hotel with its calming decor. The rooms are decorated with dusty browns and soft greens featuring pillow top mattresses, which were welcomed after our adventurous day. Guests staying at the Comfort Suites are treated to free in-room wi-fi, free parking and continental breakfast. Score! Are you ready to brave alien abduction to explore UFO sightings? 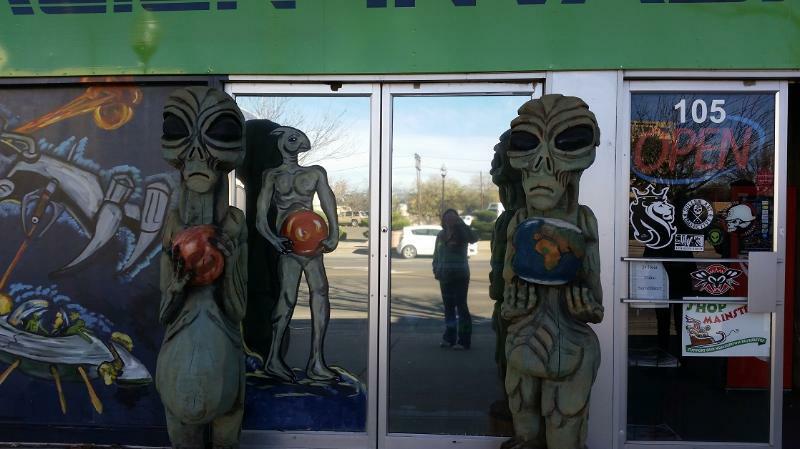 Roswell, New Mexico is a place for everyone to visit. Just make sure to keep your eyes peeled as you travel around this little town because you never know when the aliens will be out. Renee Virata is a Navy wife, mother of two and a self-proclaimed adventurer. 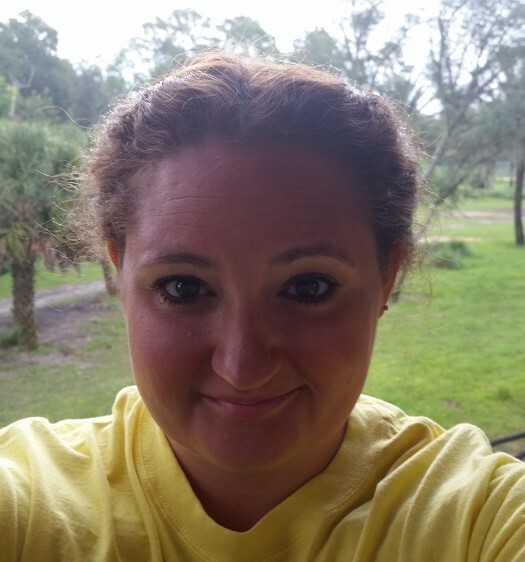 She currently calls Orlando home, but as a military family “home” changes frequently which feeds her need for adventure. When Renee isn't traveling you can find her pretending to run her way to a half marathon medal or cooking up her next traveling exploit. She has a passion for all things Disney and loves to share that love with her readers on her travel and entertainment blog Tales of One Mom's Mess. Great article! Makes me want to visit Roswell! Kelly you definitely should. It’s just a hop, skip and jump away! 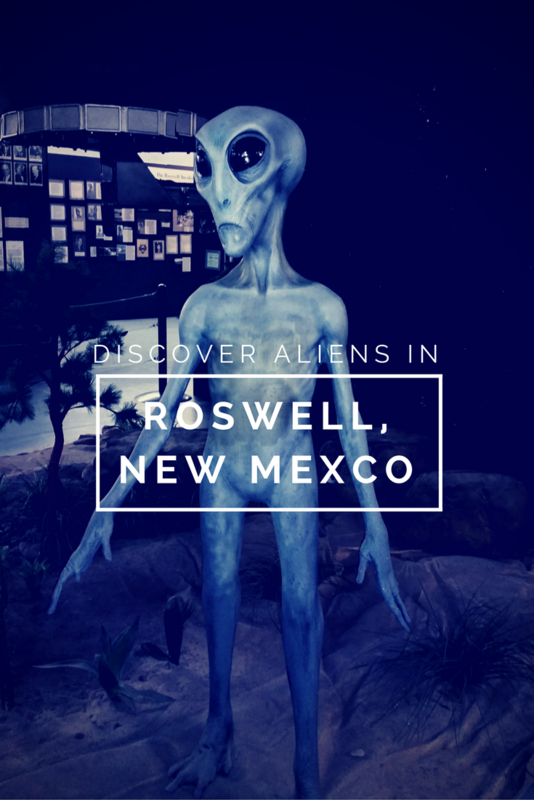 Roswell is on my son’s bucket list of places to visit and this article gave me some great tips! Thanks so much for sharing! Lisa take the leap! Your whole family would have a great time exploring Roswell. You are missing so much! Check out the Mescalero Sands recreation area, Bottomless Lakes State Park, and the Town of Lincoln where Billy the Kid was tried and jailed then escaped. Check out Ski Apache for the longest zipline in North America. In April and October you can tour Trinity on Whitesands Middle Range. Thank you for all the great suggestions Jeff! We didn’t have much time to explore other areas, but I will definitely add these to my list of must dos.